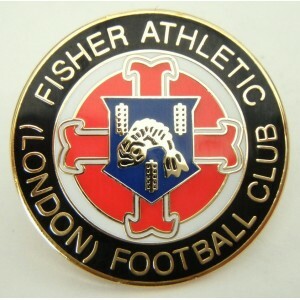 After dominating the Kent Amateur League Western Divisions during the early and mid-seventies, Fisher Athletic obtained senior status during the summer of 1976. Playing at the Morfax Sports ground in Mitcham Common the Fish were placed into the London Spartan League Second Division, which had been revamped the previous season after amalgamating with the Metropolitan London League. Ties with the Kent Amateur League, in which they had been members since reforming in 1966, were not completely cut however, with the reserves continuing to compete in the league. 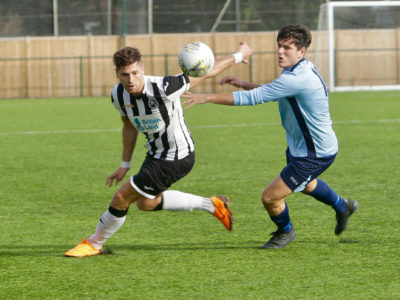 The Fish retained many of the side that had proved so successful in the intermediate league seasons and were quickly into their stride with a debut 3-1 home win against Bexley United. Eventual league champions, Ulysses were also beaten in a tight game during the opening month as the Fish sent a clear message out to the new league members that they would be a force to be reckoned with. At the heart of the Fish side was club legend Dennis Sharp, midway through his 720 game career, having debuted as a fourteen year old in 1969 with the side languishing in the lower divisions of the Kent Amateur League. Along with Sharp, Alan Hodges and Jeff Sault were both to feature during the season and all three would still be with the club when it waved goodbye to the Spartan League for a new adventure as a Southern League side in some six years later. League fixtures were somewhat curtailed during the autumn of 1976 as cup matches dominated. Senior status entitled Fisher to make a debut in the FA Vase and a preliminary round 2-1 victory against Frimley Green from the division above, saw a winning start. 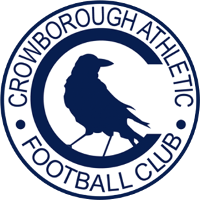 Hopes of Wembley were quickly extinguished though, with a first round defeat at Farnham Town who also played one league higher. In the London Senior Cup, Royal Arsenal were easily dispatched in the first round, with Terry Arter scoring twice in a 5-2 victory. A second round trip to Byng Road Old Boys, who shared Barnet’s Underhill stadium, saw a close one all draw, before a comprehensive 5-1 victory back at Mitcham with winger Peter Hawkes netting four times in a game for the second time in the season, having achieved the feat a month earlier in the League win against Amersham Town. Hopes were high for a lucrative third round fixture with local rivals Dulwich Hamlet after they came out paired in the draw, but Hamlet still had a replay to negotiate and their subsequent defeat to Staines Town meant a visit to Wheatsheaf Lane to meet Staines for the Fish rather than a shirt trip to Champion Hill. The Isthmian league side proved too strong and ran out 4-0 winners. The League Cup campaign also provided some success. A first round victory over early pace setters in the first division, Alma Swanley was followed by a 3-0 win against East Ham United, who were also playing in the division above. A quarter final win then saw the Fish advance to semi-final where Byng Road Old Boys were again the opposition. Once more the tie was deadlocked at 1-1 but this time the Fish could not repeat their replay heroics as they did in the London Senior Cup and bowed out of the competition. The most successful cup campaign came in the Kent Senior Trophy. Catford Wanderers were thrashed 4-0 in the first round and wins away at Alma Swanley and at home to Cray Wanderers – the respective runners up and winners of Division One, showed that Fisher were a side to be feared in the competition. 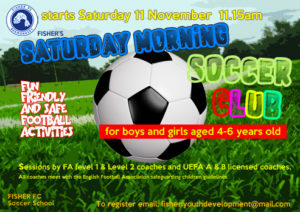 A 2-1 extra time semi-final victory over Erith and Belvedere saw Fisher into the final. Faversham Town stood between Fisher and the lifting of the trophy, but it was not to be as a single goal consigned Fisher to defeat in a close game played at Gravesend’s ground. In between the cup ties, great progress was made in the league. Mike Ford, Joey Hill, Roy Winterburn and Terry Arter linked well with Peter Hawkes to ensure goals were plentiful and regular keeper Colin Sunborg was well protected by a mean defence including, Ralph Lee, and Brian Dipple both of whom were to be mainstays of the Spartan League years. 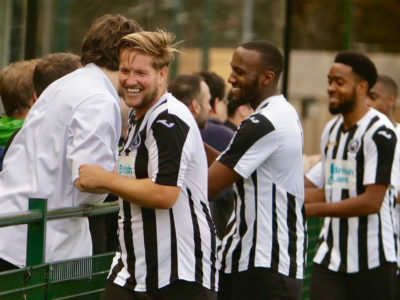 The Cup runs however came at a price, as fatigue became a factor and late April losses in the run-in, critically and 2-0 defeat to title rivals Ulysses followed by single goal reverse at fifth placed Beckenham Town and a goalless draw with Welling United, saw the Fish miss out on top spot. Alas, second place was not sufficient for promotion to the top flight. 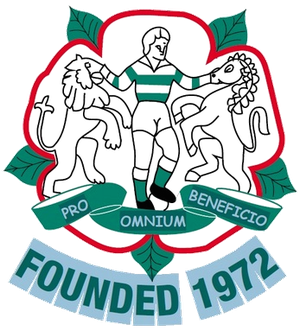 Whilst Fisher Athletic would have to wait twelve more months for the title and subsequent promotion to the renamed Premier Division, the 1976-1977 season showed they were truly at home in the senior football ranks and ready to make their mark.